It’s ongoing a real changing on the techniques of the communication, of the contents and of the strategic role of the events. 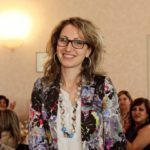 This interview to Giovanna Moranelli, the Communication Manager of Avon, is complementary to the article of Piero Pavanini (Newtonlab) “The events in time of crisis are improving”. Both of the articles deal with the evolution of the corporate events of these years, but on two different views of point: the organization agency (Pavanini) and the Company (Moranelli). 1 – A lot of people say that in the last 3-4 years the company events have been changing. It happened also in your Company? In your opinion, in a better or in a worse way? Which was the biggest change? I’ve been working at Avon for just 8 months so I can’t make an accurate comparison with the past. In the company where I was working before (Leroy Merlin, 4 years) they made a qualitative leap in the events with the acquisition of Castorama and the need of integration of the two structures. No more passive participation but involvement of the people, to create belonging spirit. The methods changed because the purposes of the event have changed. In the Company where I worked before this (Michelin) the evolution of the corporates’ events occurred even earlier, pushed by the crisis of the automotive. It wasn’t anymore possible to create engagements just with solemn top down speeches, the main character became the participant, the audience changed, also in the disposition of the rooms, the events changed their face. The evolution of the corporates’ events is certainly ongoing everywhere, but in particular it depends on the historical phase in which the company is collocated, more than the external factors like the crisis, which surely occupied an important part. The biggest change consists on the role of the participant, who becomes an active protagonist and not anymore a passive receiver. All of this is inevitable, they change contents, the forms and naturally the purposes. 2 – So the expectations of the companies towards the events have changed? Yes, of course. Nowadays it is more requested, more than the past, that the event is aimed to the business results, that is an instrument to agree upon the purposes and the strategies and that has a motivational function. In the mix of the internal communication the role of the events has increased. Once, the meetings were organized with the sales resources once a year, with a grand style. Today we can’t wait a year to meet them again, it became necessary organizing these days more frequently, some maybe without the overnight stay which is very heavy. 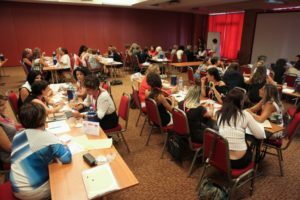 We organize the national meetings two times a year and then we make the roadshows, that is division workshops which are itinerant and last just a day. 3 – And which is the role of the crisis? It produced a cut on the budget, obviously. Nowadays we have to force ourselves to do more with less costs. But in this sense the crisis has been a healthy factor: it demonstrated that we can make it. And then the crisis enhanced the importance of the events, which turned out to be as the marketing investment which have been less given up. The strategic role of the events came out in the firms’ dynamics in the creation of the value. 4 – Which is nowadays, in your opinion, the most actual and efficient format of the event? Both online and off line, that is joining the usage of “social” instruments with the realization of a live event in different squares. We can work on long periods and make live an event (both external and internal) for a longer time. The evolution of the technologies offer us a very interesting range of opportunity that we must know how to grasp. “Knowing” is a critical word. 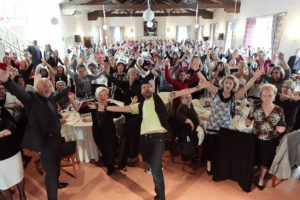 5 – According to you, the Italian meeting & event industry can reply to the new expectations of the corporates? Not always. According to me the hotels are the weakest link, too much frequently they didn’t keep updated and they didn’t adapt their today needs. Very few technologies. The traditional services remained. But it’s also a mentality matter. A lot of hotels are left behind because they still interpret the room as a horseshoe table and a mineral water, it must be you who has to force to replace in discussion that space, they struggle to walk out of the ordinary, of the standard. Instead the events are a world of exceptions, of things built ad hoc and the venues didn’t understand this, and if you’re a demanding person and you insist, the venue will hope you won’t come back. They would prefer losing a client rather than changing their mentality. Also the convention centers aren’t a lot flexible. Then I’s true that a lot of difference is made by the person that you meet, as always, but the flexibility isn’t acquired yet as a culture of the industry. 6 – What do you ask to whom organize events? That they have to be a bearer of new ideas, of the trends. That they have to be insatiable towards the research of the “right” venue, and not just that they have a room with a certain amount of capacity. I expect from them a guide in order to build in best way the event as I want, as my Company wants, in that precise moment of our history. I don’t want pre-packaged solutions. I want to make a project with them, from the settings to the details. And I’ like to have a big availability to changes until the last hour. Often we can manage the unforeseen, but sometimes we aren’t able. Finally I ask them to bring me ideas of entertainment, especially to lighten the technical contents of the event and make them reach in the best way. The technical elements of the business must be spaced out with the interaction moments, without heavy didactic sessions. And not only, they must become a show. The experts of the communication and of edutainment are teaching us a lot and we, as corporates, must be available to learn. And then there is the evening entertainment, to relax the minds after a long demanding day. Also this is needed, but it’s not a new issue. The entertainment became fundamental in the events. 7 – The creativity in the events: which role it has, for you, or it should have? It’s fundamental. All of our targets, internal and external, by now became very demanding. They expect to be amazed, conquered. I ask for creativity especially on the conception and on the planning of the convention. At Leroy Merlin it happened to me to have difficult moments in the organization of a big event because, after putting in competition some agencies and not having a very creative project, we decided to close the contest dismissing them all, we delayed 6 months the event and opened a new contest. At the end we did it, but this to say how much important is the creativity, and how is still “normal” for an agency to propose some banalities. 8 – Do you think that it’s normal that it’s the client to push for creativity?In an ideal world the agency should be the one who must flood the client of innovative ideas. It’s clear that making many events for the same client is more difficult because it’s always necessary to find a new thing. But, in my opinion, there are those who are good that can make it, but it’s still difficult. There’s still a world of agencies badly prepared and not very professionals that, in order to grab a contest they say that they can do miracles and in practice they aren’t able to realize them. The professionality isn’t diffused in a homogenous way. And then there’s the huge territory of creative use of the technology, and in Italy we are really behind. I believe a lot in the hybrid event, for instance. But it’s still difficult to realize it and there’s still a lot of resistance. But it’s the future, and we can’t go back. 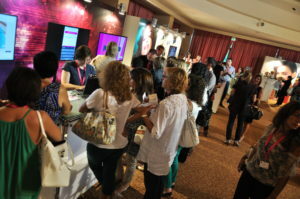 9 – The corporate event can also be a subject of communication, both towards inside and outside. How do you behave, being in Avon? I believe in it and in the Company we are working to achieve it. Also this might be a new thing for our traditional events, so for now it’s difficult. But we use some new formats, like the one that we made in the end of August where we showed our products in a sort of exposition like a workshop, and we let this know. But it’s an uphill battle because the journalists of beauty products are much more interested on gossips (e.g. a new testimonial) but a new product is harder to transform in a news, it always must be followed with something else. I would be more prone to use the convention as a subject of communication, this year I would have liked to create an event with the possibility to exploit it outside. We wanted an interactive event with the world of the bloggers but we aren’t ready yet to interact with the web. That will be our last destination, because the history is going on that direction.